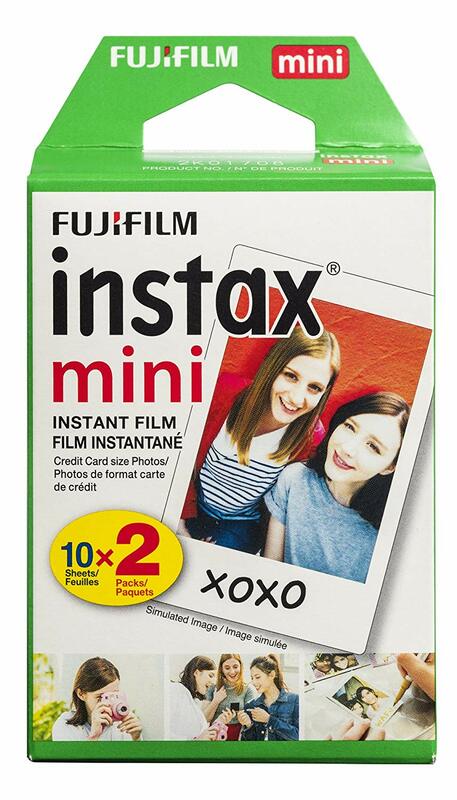 Best Answer: The average price for Instax mini film seems to be about $1 a sheet. All film packs come with 10 sheets, and the basic white film is commonly found in twin packs at several retailers for about $20, with Amazon being the lowest at about $14. Prices vary for more colorful options. Buying this film seems expensive. Why would I use this over my digital camera or even smartphone? Yes, as the popular saying goes, "the best camera is the one with you." Most of us carry a smartphone that's more than capable of capturing fantastic photographs when we need them, but it lacks the fun and charm of an instant camera, such as the Fujifilm Instax Mini 9. Back in the days before digital cameras, we had disposables and Polaroids with instant photos. There's just something beautiful about snapping a photo and then watching the picture print out and develop right in front of your eyes. Then you're free to stick that cute little photo in a photo album, on the fridge, in a notebook, or wherever! That's what you get with instant cameras like the Instax. If the prices of the film seem expensive, that's because they are. But again, it's for an experience that you can't quite get with a digital camera. Does this stuff ever go on sale? Should I wait for a good deal to buy the film? Yes! Fujifilm's Instax Mini film does go on sale quite frequently at places like Walmart and Amazon, but you do need to keep your eyes peeled. You can do this by just checking the retailer's websites often for a sale, or use something like Thrifter to track. It's recommended to always wait for a sale to buy the film since the sales usually end up bringing the price of each individual sheet to much less than $1 each. Sales would be the best time to stock up on a lot of film! Or you can always buy in bulk in order to save some cash. The standard white film for the Instax Mini will probably end up being your go-to default film when shooting. It's the cheapest option and the standard film. Plus, it goes on sale much more than other types. If you prefer to shoot in black-and-white, the Monochrome film is perfect. It gives your images a touch of class with the high contrast blacks, whites, and grays. 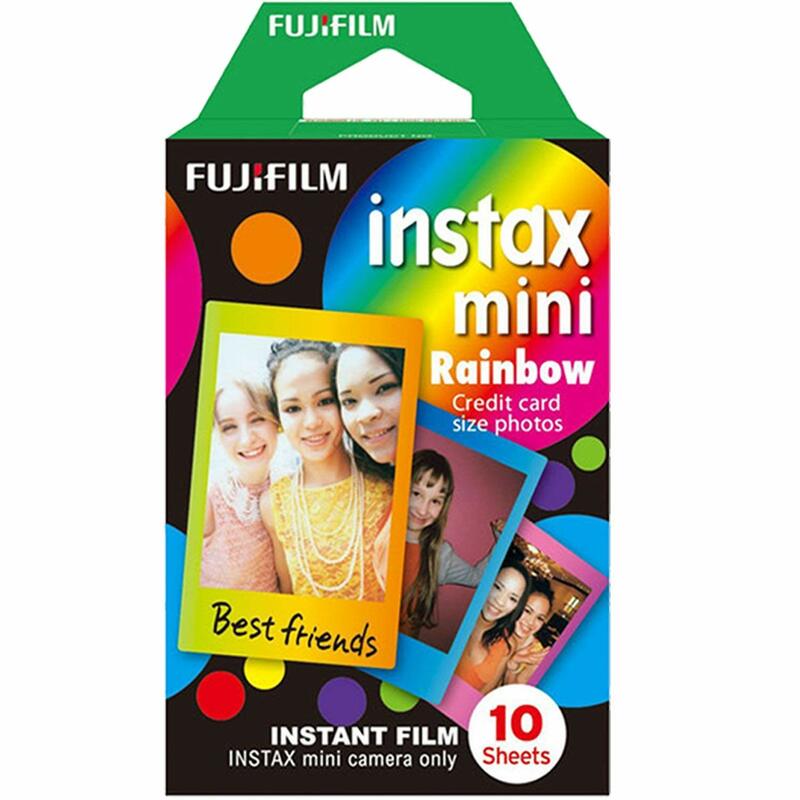 The Rainbow film is great for those times you want something bold and colorful surrounding your retro image. This film features all of the colors of the rainbow in smooth gradient patterns that frame each photo. The Macaron film is similar to the Rainbow, except the colors are more of a soft pastel, so it's not as bright. In many ways, it's cuter, and the colors are reminiscent of macaron desserts. Who can resist Hello Kitty? 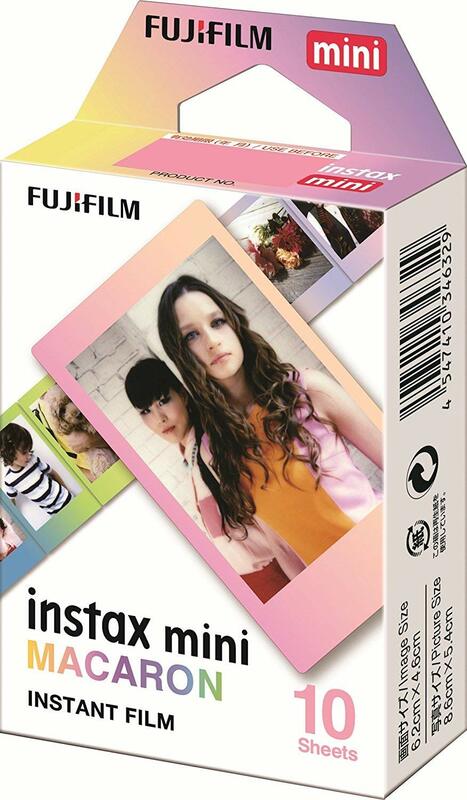 Every so often, there are unique, limited edition designs for the film frame for Instax Mini. 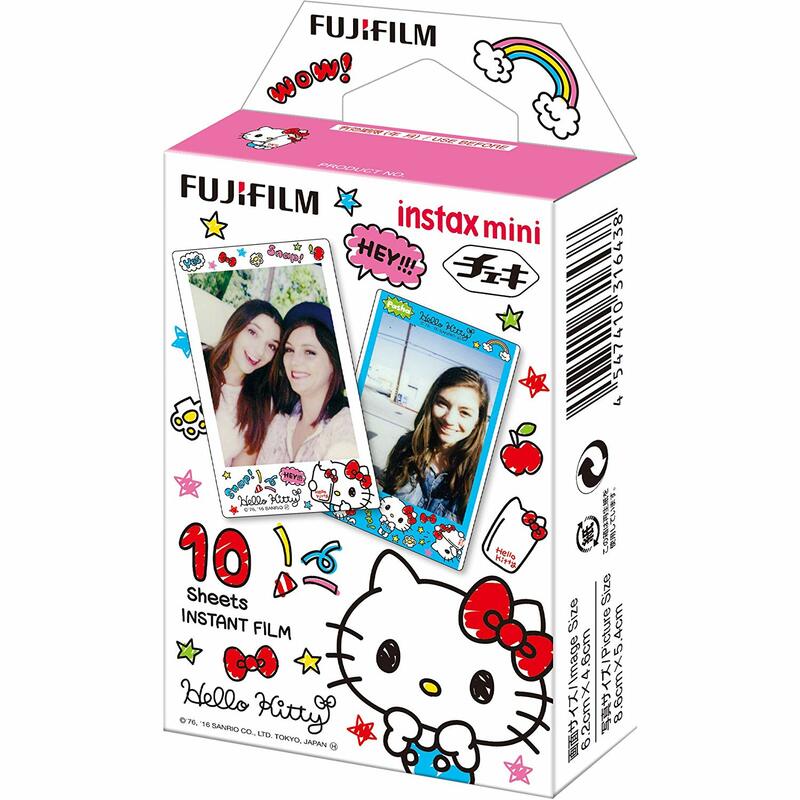 Hello Kitty is one of them, and the film has an adorable Hello Kitty design on the borders, for that extra cute shot with your BFF.